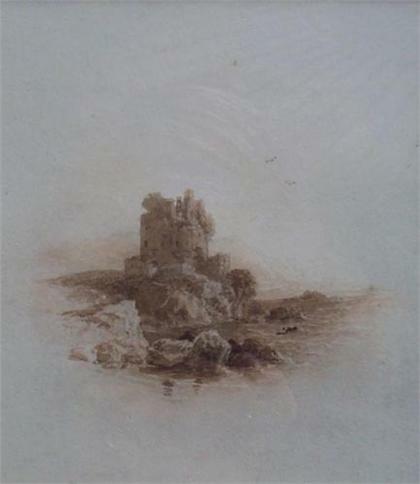 A ruined castle (probably Scottish) on a shore. (16 ¼ x 13 ¼) inches. Provenance: Miss G M Bostock, companion of Miss H H Tatlock, the artist’s grand-daughter. Exhibited: City of Lincoln, the Usher Art Gallery, Peter de Wint Exhibition, 1937, No. 215, lent by Miss Bostock. Original exhibition label affixed verso. 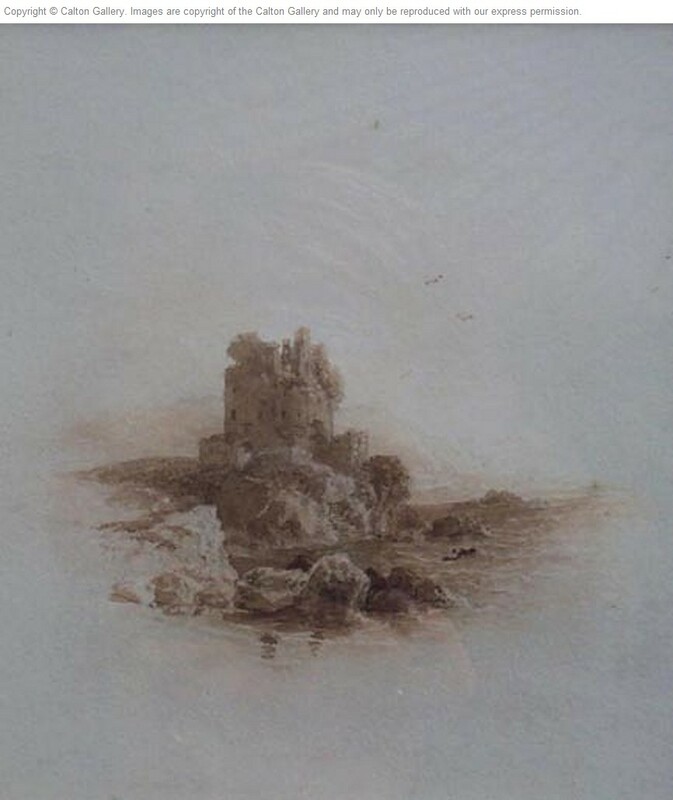 It has been suggested that this drawing was executed for engraving and publication, possibly for John Tillotson’s Album of Scottish Scenery, 1831. English landscape painter in watercolour and occasionally oils; universally recognised as a true master of watercolour.